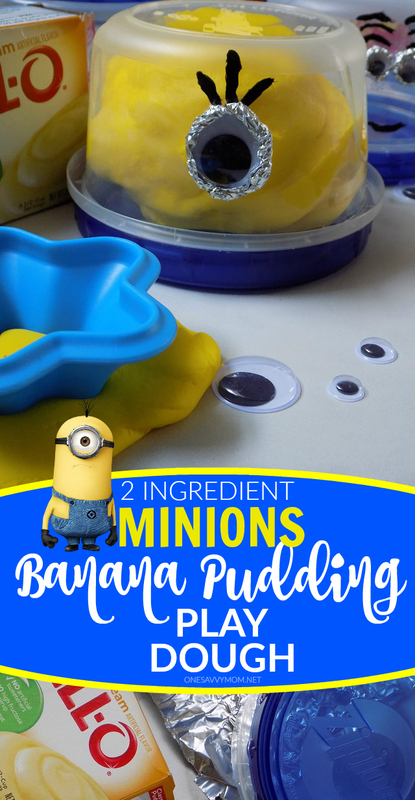 One Savvy Mom ™ | NYC Area Mom Blog: Taste-Safe Banana Pudding Minions Play Dough Recipe - Just Two Simple Ingredients + It Smells AMAZING! Taste-Safe Banana Pudding Minions Play Dough Recipe - Just Two Simple Ingredients + It Smells AMAZING! 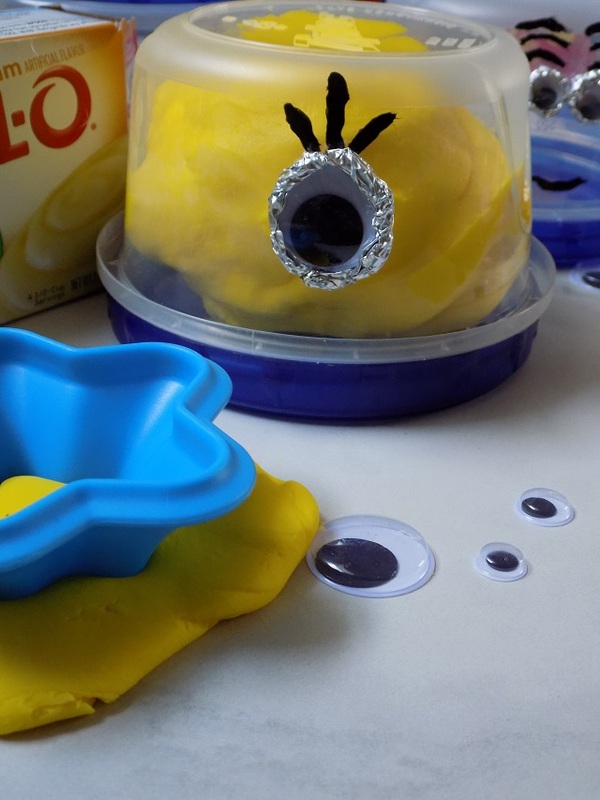 This taste-safe banana pudding Minions play dough recipe smells AMAZING. My two little ones absolutely adore playing and creating with it, and the DIY Minions storage containers only add to the fun! It only requires two simple ingredients, and for those of you who have curious toddlers - it's completely taste-test safe. Make your own Taste-Safe Banana Pudding Minions Play Dough with my recipe, below. In a large mixing bowl, combine cornstarch slowing (mixing / kneading in about a cup at a time) with the prepared banana instant pudding. Once all of the cornstarch has been successfully combined your play dough should have a silky smooth texture. For the DIY Minions Storage Container. 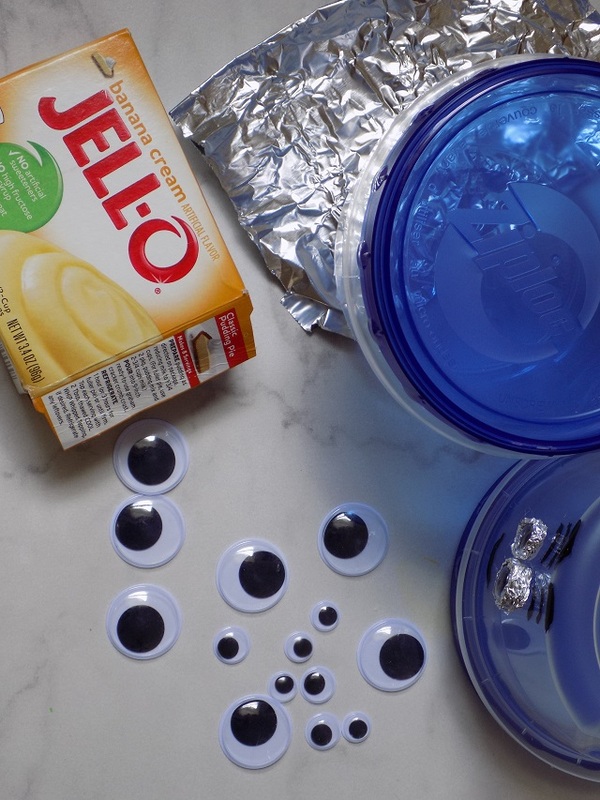 Wrap Tin Foil around small googly eyes (or one big googly eye - see images above and below) to make the Minion's "goggles". Use a permanent maker to add tufts of hair and a smile to your Minion's face. 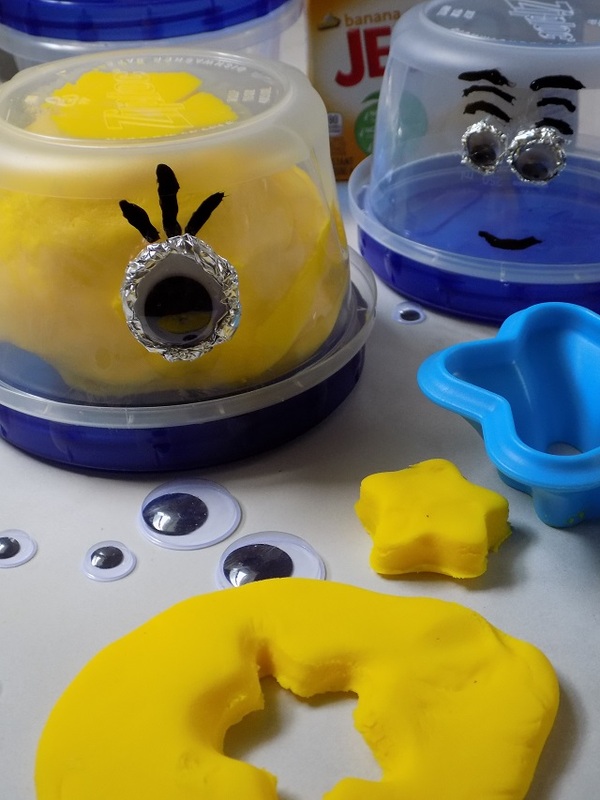 Add your bright yellow banana pudding Minions play dough to your DIY Minions storage containers. 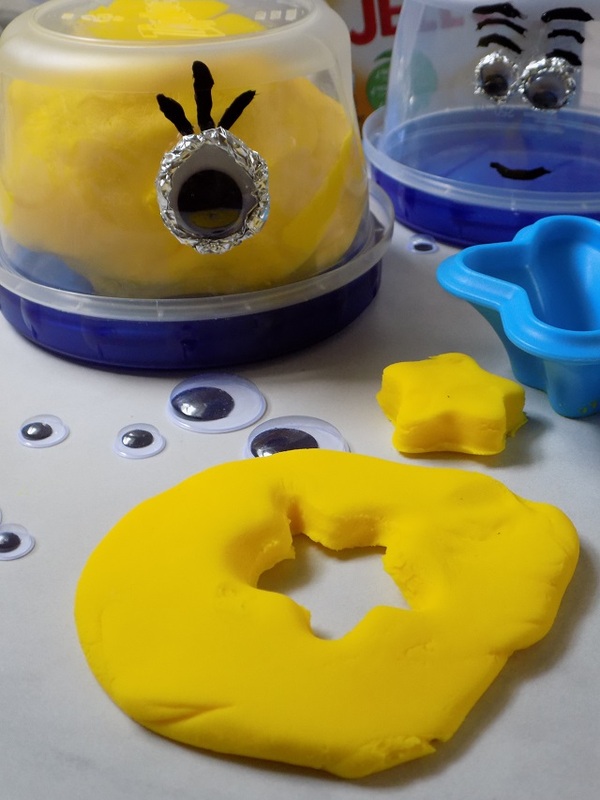 Store your banana pudding play dough in your DIY Minions storage containers in the refrigerator when not in use. This banana pudding play dough recipe stays good in the refrigerator for 7-10 days. Play, create and ENJOY! These would make adorable birthday party favors OR this could be a fun party craft to do with the kids at a Despicable Me / Minions themed birthday party!